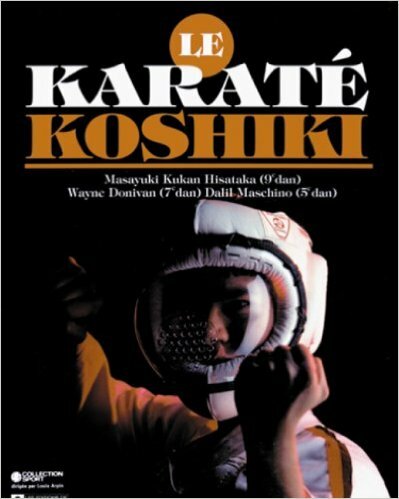 Le Karate Koshiki is a french language training manual for Koshiki Karatedo.Koshiki Karatedo is the combat system originally developed by So Shihan Masayuki Hisataka. 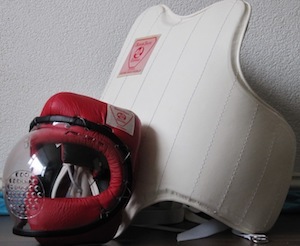 The system utilizes a protective gear system known as Anzen Bogu. Koshiki Karatedo contains fighting drills and exercise to help the karatedo player improve their actual combat effectiveness. The manual contains a wealth of information on Koshiki techniques including: Preparation for the practice of Koshiki, Basic Techniques, Basic Positions, Escapes and Gardes, Basic Kicking Form, Basic Punching Form, Defensive Techniques, Sweeping Techniques, Throwing Techniques, Combinations, Gokyono Kumite, and Defensive Strategies. Koshiki Karatedo is a spectacular form of Karate that allows complete attacks with control to protective equipment. In this respect it speaks to the great tradition of Karate while being modernized. This book provides a training method for those who wish to practice full contact karate. Beginners will find all the basic techniques. Intermediate karateka can perfect their techniques with the assistance of the detailed multiple combinations shown. Advanced students can improve their training through the application of the Gokyono Kumite.